The roof is made of fabric, including tensile membrane, inflatable fabric structures, and other types of fabric sheet roof. 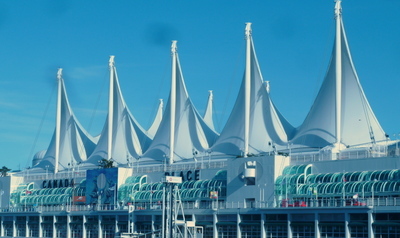 A tensile membrane roof is made of stretched fabric, usually stretched in two directions to form a tensioned surface. Examples of tension membranes include polyester coated with PVC and glass fibre coated with teflon. 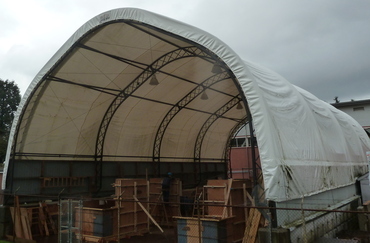 An inflatable roof uses fabric chambers pressurized with air to form a self-supporting structure. Also included is any other type of fabric roof not inflatable or stretched like a tensile membrane, and includes plastic sheet, tarpaulin, canvas sheeting.